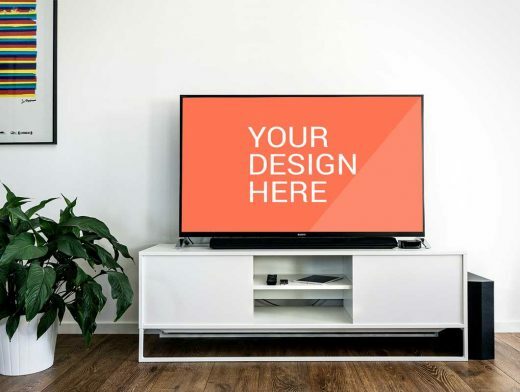 This photorealistic PSD Mockup renders your new TV show or commercial promotion on a large SONY flatscreen television. The LCD is rendered standing on a cold-rolled steel white cresenda with a sub-woofer placed on the floor to the right. To the left of the scene is a plant with a poster partially cropped from the composition. The cresenda has sliding doors on the front of the unit revealing internal shelves.